Glamorgan made 162/2 from 31 overs before rain ended play in their one-day friendly against Cardiff MCCU at The SSE SWALEC. 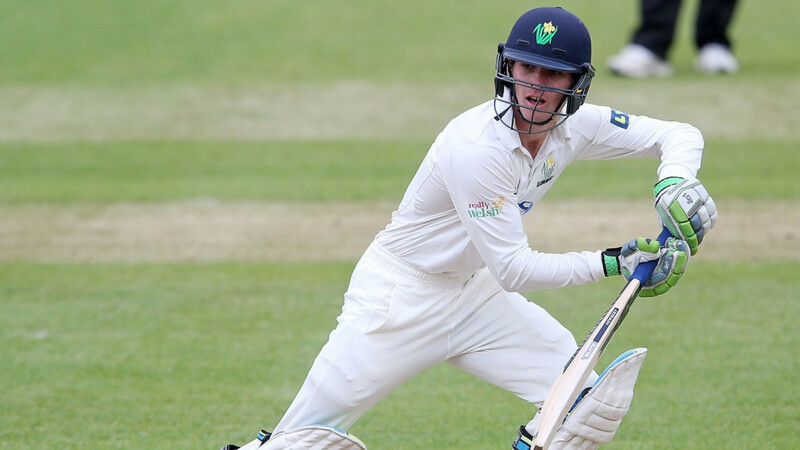 Storm Katie may have wreaked havoc across Southern England during the past 48 hours, but only ten overs were lost at The SSE SWALEC in Glamorgan's second pre-season fixture, as the Welsh county met the students of Cardiff MCCU in a 45-overs friendly. After being put in to bat, Jacques Rudolph and Mark Wallace adopted a watchful approach against the student attack, with Andrew Westphal and Kemau Leverock delivering an accurate new ball spell. Both Rudolph and Wallace struck boundaries square of the wicket, with the former also off-driving Westphal for four, whilst the latter pulled successive balls from Leverock to the mid-wicket ropes. Rudolph brought up the fifty stand in the tenth over as he glided James Turpin to the unguarded ropes at third man before square-cutting Dan Lewis-Williams' first ball for another sweetly timed four. Rudolph then cover-drove Turpin for four before pulling Lewis-Williams first bounce into the Pavilion enclosure. Wallace also on-drove both bowlers for four, firstly striking Turpin in the air, before drilling Lewis-Williams along the ground, but with the total on 82 in the fifteenth over, his innings ended as he clipped Lewis-Williams into mid-on's hands. Nick Selman duly replaced Wallace and got off the mark by punching a full toss from Turpin through the covers for four, but with his score on 44, Rudolph edged the persevering Lewis-Williams into Cameron Herring's gloves as Glamorgan lost their second wicket on 99.David Lloyd got off the mark with a fluent drive for four against Sean Griffiths but he had a moment of good fortune as Alex Milton dropped a sharp chance diving to his right at mid-wicket. Selman upped the tempo by lofting the off-spin of Alex Thompson for a pair of sixes to long-off and deep mid-wicket before Lloyd on-drove Griffiths for four. Drizzle started to fall as Lloyd swept left-arm spinner Harry Allan for six, but the rain then intensified and forced the players from the field. LUnch was then taken, but the precipitation continued during the afternoon and with heavy rain falling at 3.15pm, the contest was called off.